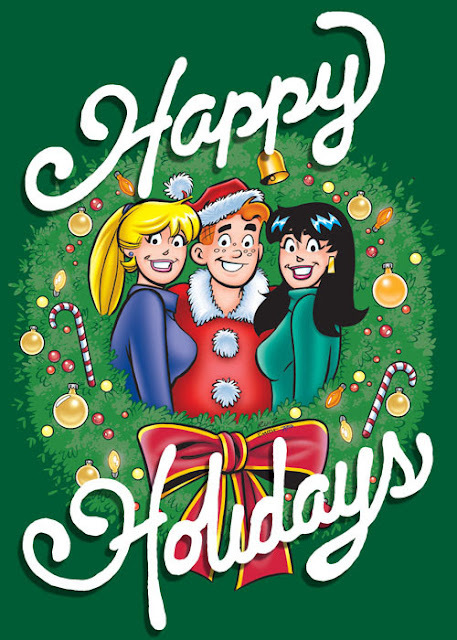 A special note about great comic book publishers like Archie Comics (they provided the image above) who support our efforts to provide previews, reviews, and news about comic books every year. We're very grateful to be fortunate enough to promote fantastic sequential art and stories since this blog is by fans for fans. Thank you also to Image Comics, Dynamite Entertainment, Action Lab Entertainment, and all the wonderful creators who share their work with us.